If you would like more pictures, please send us an email. We are happy to provide more. 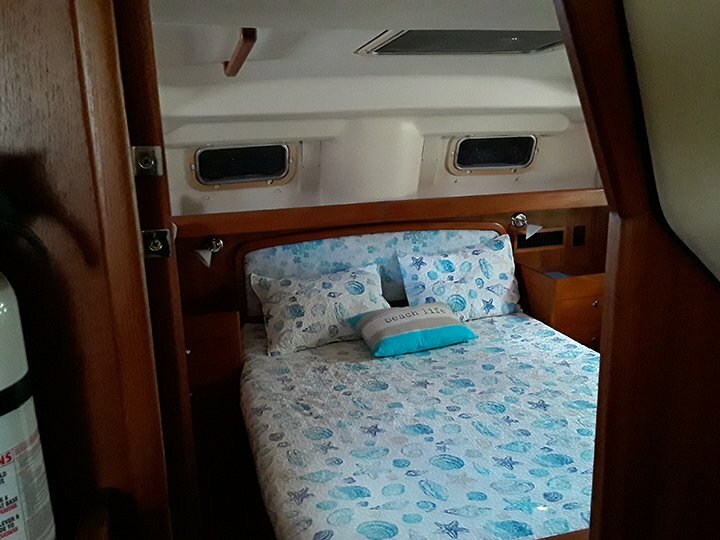 Toots Sea has two marine reverse cycle air conditioners/heaters for climate control and five overhead hatches and seven opening ports for excellent natural ventilation. 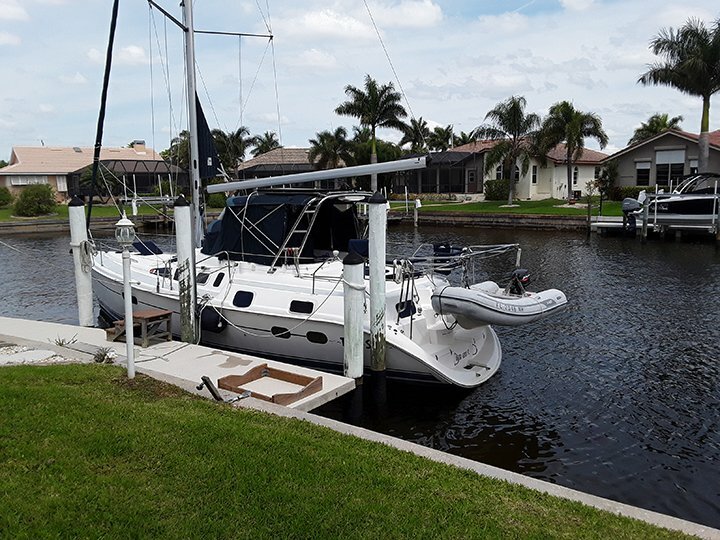 The Master Suite is aft with a centerline queen bed with plenty of cabinets and private head with shower. A full size hanging clothes closet and all drawers are cedar lined. Cedar lined night stands are on each side of the bed with adequate bedside lighting. 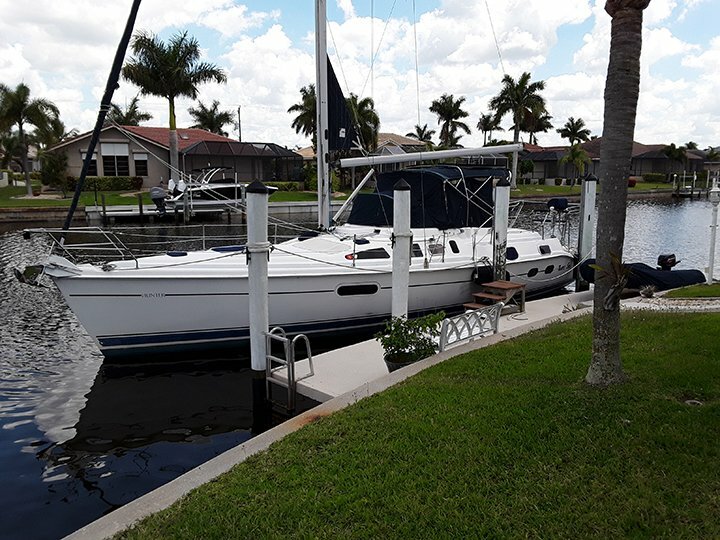 A large nav station with forward facing nav desk is to starboard of the companionway. VHF radio is located at the nav station. 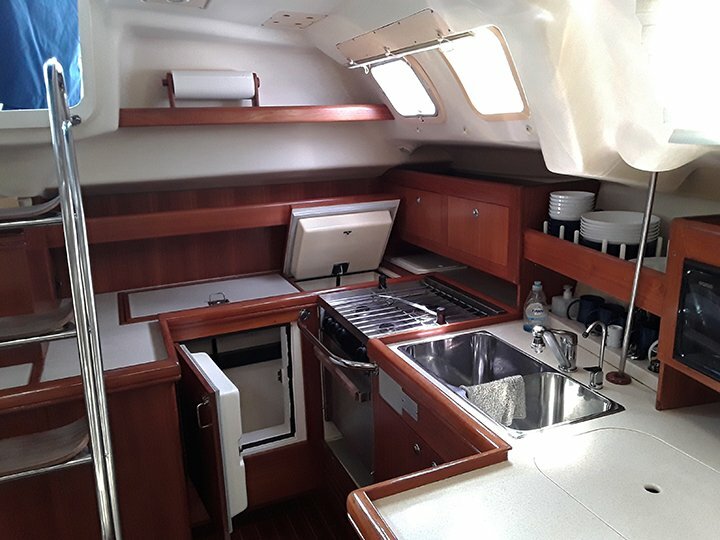 To port is a full galley with fridge, freezer, 3 burner propane stove/oven, SS sink, large Corian counter area and storage. 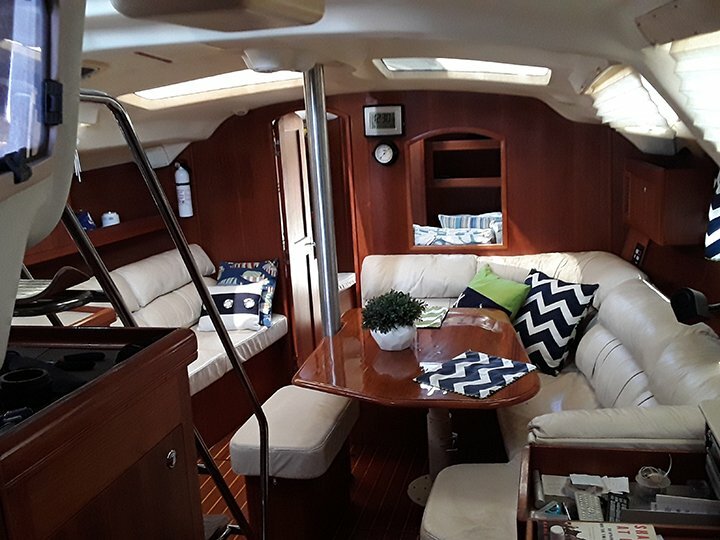 The salon is spacious with a large U-shaped leather settee and table to starboard. A long straight leather settee is to port. A 19” flat screen TV and DVD/CD player is to starboard. The forward cabin features a large Pullman berth and easy access to the forward head with shower. A full door closes for privacy to both the cabin and head along with a movable wooden louver door in the cabin. Lots of storage underneath the bed with 6 drawers along with a full size cedar lined closet.